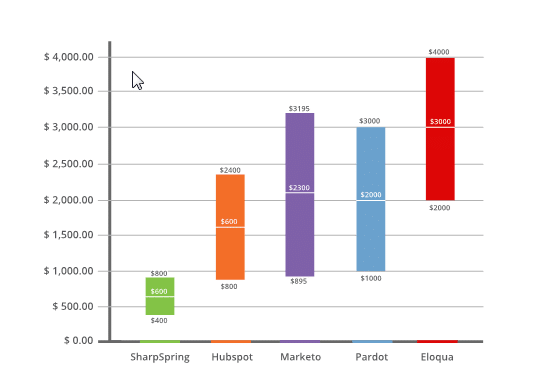 Here's an overview of SharpSpring, our recommended marketing management automation system for most businesses. Marketing automation streamlines marketing processes to improve time-intensive tactics such as lead nurturing, the most important objective for businesses. Identify highly interested and sales-ready leads with lead scoring. Develop leads that aren?t sales-ready by automatically putting them on nurturing campaigns. Instantly notify salespeople about leads that are ready to buy. See exactly when leads fall out of your pipeline and take action. Reaching out to individually nurture leads one at a time isn?t realistic for most companies and takes a huge amount of time for the ones that do. Marketing automation?s strength is that by segmenting leads based on interests and stage in the buying cycle, you can have a one-on-one conversation… with thousands of people at once. 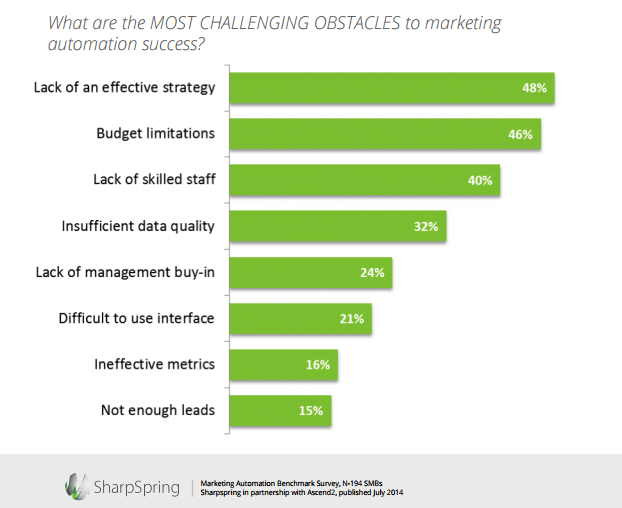 Budget and strategy can be intimidating when considering adopting marketing automation, but they don?t have to be with SharpSpring. High quality marketing automation is becoming available at prices even very small companies can afford, and the quality providers also offer guidance and support when it comes to marketing automation strategy. 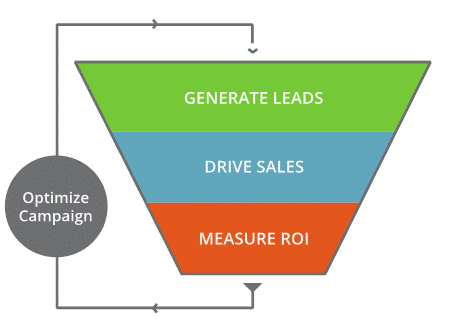 Knowing the conversion rates for leads at each step of the selling cycle lets you pinpoint exactly where your sales funnel is leaking, and how you can fix it. It?s a common story that a company has plenty of leads, and yet somehow doesn?t end up with plenty of sales. You know they?re dropping off somewhere, but you don?t know where, so you can?t fix the problem. Marketing automation lets you distinguish the pieces of your sales process, and shows you exactly where leads are falling off. Too often we see people advertising on Adwords and tracking clicks, or even better, tracking leads and phone calls. But using SharpSpring helps you close the loop from keyword to sale and even the simple cost saving here will tell likely pay for Sharpspring for many businesses with a moderate PPC budget.